Home » Register for October Open House! 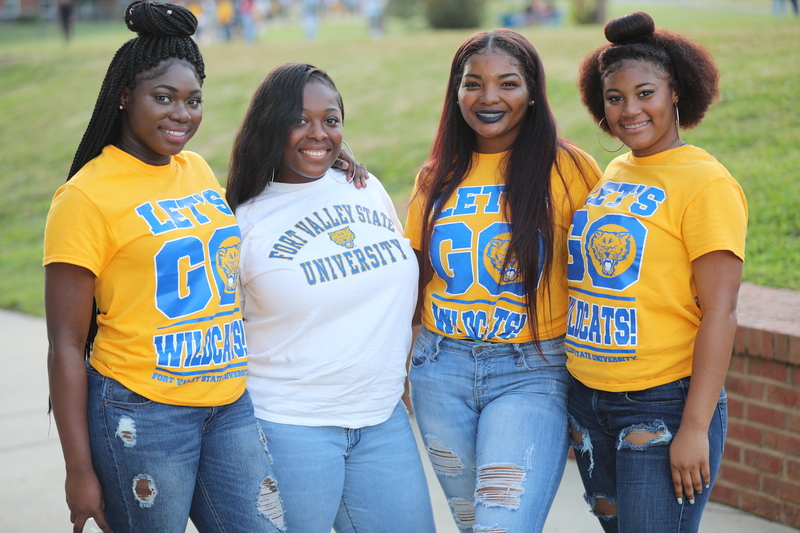 One of the best ways to learn about Fort Valley State University is to visit our campus during an Open House. We think you will find our HBCU in Middle Georgia a place you can call home. Our open house event includes an information session with experts on each major and a chance to meet with professors and deans one on one. There are breakout sessions to gain deeper access to your intended major or information to help you find one. On our tours you will visit Wildcat Commons, the place many of our students call home for four years, see our dining halls and academic buildings. We invite prospective students, transfer students, military members and graduate students to experience campus for the first time. The day concludes with a catered cook-out style lunch right outside the blue and gold awning of historic A.L. Hunt Library. Next your Open House admission grants you admission to Wildcat Stadium to watch our 2016 SIAC Champions the Wildcats take on Miles College. We’ll also have On-Site Admissions for prospects who provide their SAT/ACT scores and transcripts. Sign up for our last Open House of 2017 Saturday, October 14, 2017. We’ll see you in the Valley! Look for #WildcatOpenHouse on social media! Click here to register!